It's OK To Go Over Budget...Sometimes! It’s OK To Go Over Budget…Sometimes! Good Morning Green Panda Friends. We always preach about making a budget and sticking to it. The key to financial success is to always save more money than we spend, and that is the normal rule. However, there is always an exception to the rule. Sometimes it’s ok to go over budget as long as the expense is worth the cost. Sometimes convenience is worth the extra cost, but not if the added convenience is just because we are lazy. Sometimes going over our budget is ok if we are paying for a once in a lifetime opportunity, especially if we will (most likely) never again have the opportunity to live the experience. Think about the last time that you splurged on something and went over your monthly budget, was the additional expense worth the cost? – Spend Some Extra Money on Housing. It is important to love where we live because we may spend most of our time at home. Spending a little bit of extra money for housing convenience in order to live closer to our work or school could end up saving us time and money on transportation costs. Going over budget on housing costs is also ok if it helps us live in a safer neighbourhood. – Splurge on Vacations and Life Experiences. I am personally a big believer in trying new experiences. I don’t mind spending money on vacation destinations in order to travel to new places where I have never been before. I always try to get the best deal on my airfare and hotels but I definitely don’t mind spending money on new adventures, especially if the vacation or the experience is a once in a lifetime opportunity. – Take Out Food and Dining at Restaurants. Eating out every now and then is ok as long as we stay within a budget. What is usually a very bad habit for our budget is constantly eating out and dining in restaurants. Some people eat out a lot because they are very busy and don’t have the time to cook, but most people (like me) eat out a lot because they are lazy. Eating out or eating on the go is definitely the more convenient option, but it is also the most expensive option. I don’t like going over budget if I can avoid it and if the expense is not worth the cost. – Reoccurring Entertainment and Alcohol. 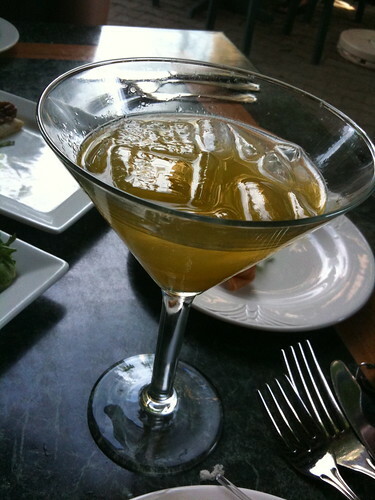 A night out on the town or an evening meal with friends at a restaurant can become very expensive if we order drinks. Continuous partying, dining out, and drinking can be a very costly habit. We can still have a good time and stay within our budget if we enjoy our drinks at home before we go out to a restaurant or a night club. I hate spending money if I don’t have to spend it. Overspending and going over our monthly budget for entertainment and alcohol is definitely an unnecessary expense. I agree with the housing splurge. I’m way over my average percentage on housing but that’s ok. I love where I live and I’m happy. I just need to cut back in other areas. @Momma Star – Me too, but it’s totally worth it! Thanks for reading.